At a time when so many other TV makers are peppering their product lines with made-up buzzwords, it’s somewhat refreshing to see TCL stick to the basics. The company’s 2016 product line is short on proprietary hardware and software trickery, and instead comes correct with industry-wide advancements like quantum dots, HDR, and 4K video. This makes sense, as TCL’s primary selling point is affordability. TCL’s 65-inch X1 Series TV will be the first to include quantum dots, a type of nanotechnology that filters LED backlights to produce deeper blacks and more vibrant colors. Quantum dots first started popping up in higher-end TV sets last year, but their inclusion in TCL’s latest set is a sign that the technology is beginning to go mainstream. TCL hasn’t announced pricing for the X1 Series, but says it’ll launch in China this March, followed by the United States and other markets in the second half of 2016. Quantum dots and HDR will also appear in TCL’s C2 series, which has a curved “black crystal” display that’s meant to increase contrast and cut down on reflections. Screen sizes and prices for these sets haven’t been announced. TCL says the C2 series will hit China in the first half of the year, followed by other markets in the second half. Finally, TCL will be the first to offer a 4K TV with Roku’s smart TV platform built in, providing access to what is arguably the best streaming app selection on the market. These TVs will come in screen sizes of 43 inches, 50 inches, 55 inches, and 65 inches, though they’ll lack the HDR and quantum dot tech of TCL’s other sets. 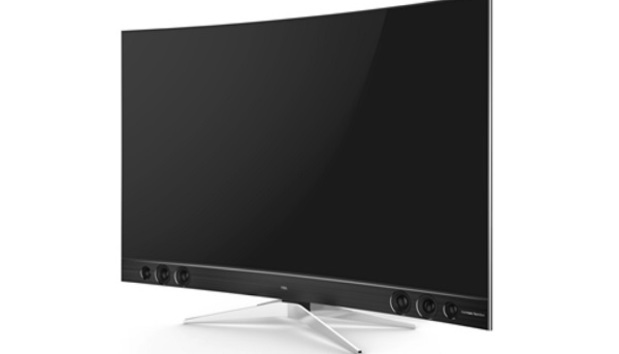 Again, prices for these TVs are unclear, but the first models will arrive this spring.